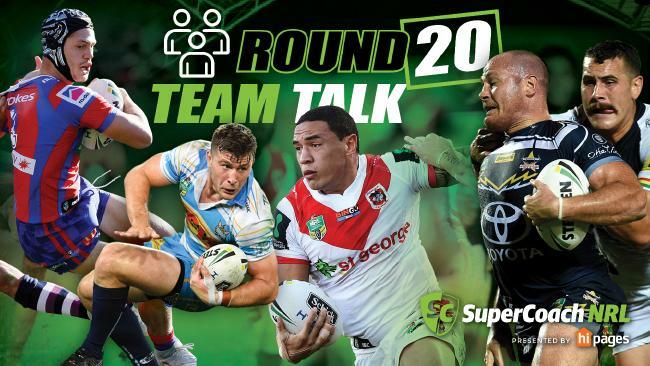 Some big ins and outs ahead of Round 20 of the NRL. BRAD Arthur has made an interesting call in changing a winning formula, following only the Eels 4th win of the season against the Bulldogs. Jarryd Hayne has been shifted to the wing, with Brad Takairangi moving to centre to make way for Tepai Moeroa in the second row. 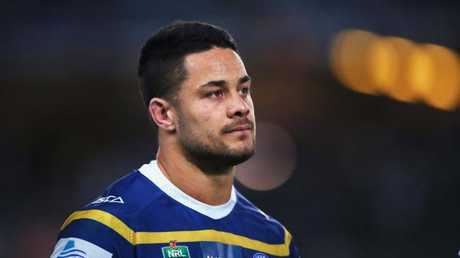 Hayne has been in solid form in the Eels last two rounds against the Knights and Bulldogs, so it will be interesting to see how he is used and how he responds to being moved from his right centre role. Hayne is of course without a contract beyond 2018 and it remains to be seen if this could have an effect on whether he returns for the club next season. Meanwhile the Sharks welcome back retiring hero Luke Lewis, as they aim to make it 11 wins from 13 starts when they open Round 20 against the Broncos on Thursday night. Team analysis: Matt Lodge starts in the only change to last week's team. 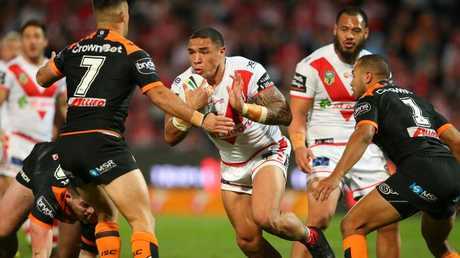 Tevita Pangai Jnr has been named despite concerns over his hamstring. Team analysis: Luke Lewis (calf) returns in the second row, pushing Scott Sorensen to the bench and Joseph Paulo to the reserves. Team analysis: 1-17 as per last week. 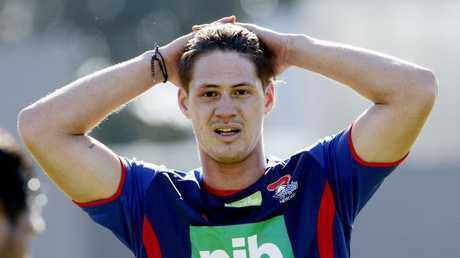 Team analysis: Kalyn Ponga returns from injury but remain in some doubt. Sione Mata'utia returns at centre with Corey Denniss dropping out. Shaun Kenny-Dowall and Nathan Ross swap centre and wing roles. Lachlan Fitzgibbon and Aidan Guerra swap between lock and second row. Team analysis: Ofahiki Ogden replaces Clay Priest on the bench in the only change. Team analysis: After impressing last week, rookie Luke Garner moves into the starting second row for Josh Aloiai (broken hand) with Robbie Rochow recalled on the bench. Team analysis: Dylan Walker returns at five-eighth and Jorge Taufua on the wing. Both Wrights, Tom and Matt have been left out of the 17. Shaun Lane is back in the run-on side. Kelepi Tanginoa replaces Toafofoa Sipley on the bench. and is joined by Frank Winterstein. Team analysis: In a surprise move Tyrone Peachey has been named at fullback in place of the injured Jarome Luai (ankle). As expected Dallin Watene-Zelezniak returns from injury but it is on the wing, in place of Christian Crichton who has been dropped to the reserves. In good news for Villiame Kikau owners, Tyrone May comes on to the interchange. There's been shuffling in the forwards with Trent Merrin dropped to the interchange, James Fisher-Harris starts at prop, Corey Harawira-Naera moves in to the starting side at 12 and Isaah Yeo moves to lock. Team analysis: David Gower returns on the bench replacing George Jennings in the 17, with Tepai Moeroa starting in the second row, Brad Takairangi moving from the bench to centre and Jarryd Hayne from centre to wing. Team analysis: Dale Finucane returns to the starting team with Kenny Bromwich shifting to the bench. Team analysis: Joe Tapine returns from suspension with Sia Soliola moving to the bench. Nick Cotric moves to centre with Michael Oldfield shifting to the wing. Titans: 1 Michael Gordon, 2 Anthony Don, 3 Konrad Hurrell, 4 Brenko Lee, 5 Phillip Sami, 6 AJ Brimson, 7 Ashley Taylor, 8 Jarrod Wallace, 9 Nathan Peats, 10 Ryan James (c), 11 Kevin Proctor, 12 Keegan Hipgrave, 13 Jai Arrow. Team analysis: Will Matthews replaces Leilani Latu on the bench in the only change. 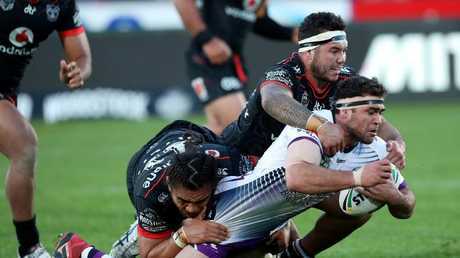 Warriors: 1 Roger Tuivasa-Sheck, 2 David Fusitu'a, 3 Gerard Beale, 4 Solomone Kata, 5 Ken Maumalo, 6 Blake Green, 7 Shaun Johnson, 8 James Gavet, 9 Issac Luke, 10 Agnatius Paasi, 11 Isaiah Papali'i, 12 Tohu Harris, 13 Simon Mannering. Interchange: 14 Jazz Tevaga, 15 Sam Lisone, 16 Joseph Vuna, 17 Bunty Afoa. Team analysis: Blake Green returns at five-eighth for Mason Lino. Tohu Harris is back in the second row; Simon Mannering moves to lock with Adam Blair suspended. Sam Lisone replaces Tevita Satae on the bench. Team analysis: Isaac Liu and Mitchell Aubusson return on the bench for Lindsay Collins and Nat Butcher. Dragons: 1 Matt Dufty, 2 Jordan Pereira, 3 Euan Aitken, 4 Tim Lafai, 5 Jason Nightingale, 6 Gareth Widdop (c), 7 Ben Hunt, 8 James Graham, 9 Cameron McInnes, 10 Paul Vaughan, 11 Tyson Frizell, 12 Tariq Sims, 13 Jack de Belin. Team analysis: Tyson Frizell returns, with Luciano Leilua dropping to the bench and Blake Lawrie to the reserves.